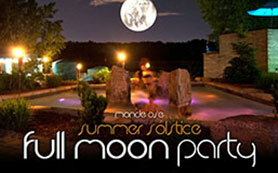 Monde Ose’s Summer Solstice Full Moon event was a massive success; even with the rainy start! Replete with a dynamic mix of beautiful people, hot bodies, breathe-taking vistas, waterfalls, thermal spas, glass-walled saunas and a sense of fun, sensuality and magic was certainly in the air.. and this mix captures the atmosphere perfectly! We want to remind you that you can purchase every tracks played on this show on diferent stores or digital platforms such as Beatport or Traxsource. This is very important, we purchase every track we play so please do the same and suport House Music scene, Artists, Producers and Labels. If you are an artist or record label owning the content we’re playing in this show and have any concerns about it, please let us know and we will remove the track and/or the Mix.